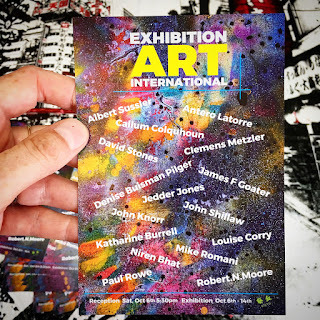 I will exhibit my work at two upcoming Foreign Artist Exhibitions! 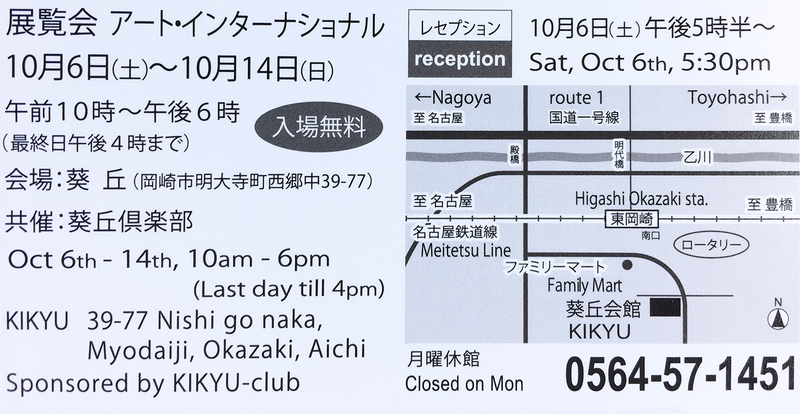 From October 6-14 my work will be part of the Foreign Artists Exhibition at Kikyu Gallery in Okazaki. Gallery opening hours are 10am-6pm (Closed Monday). 16 Artists will be participating in this years exhibition, the exhibition will include painting, photography, woodblock prints and ceramics. 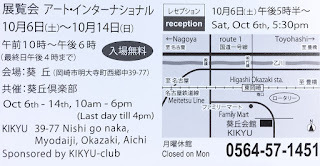 On Saturday October 6th at 17:30 h. there will be a vernissage, sponsored by Kikyu Club, please come along, meet some of the artists and have a good time. From October 30 - November 4 I will exhibit several pieces from my brand new body of work ‘World on Washi’ at the 33rd Foreign Artists Exhibition (FAE33), organized by the Central Japan International Society (CJIS), with the generous support of Nagoya International Center (NIC). 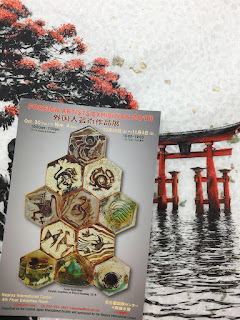 This exhibition encourages dialogue and the exchange of ideas among the citizens of Nagoya and foreign artists living in the Chubu Region of Japan. 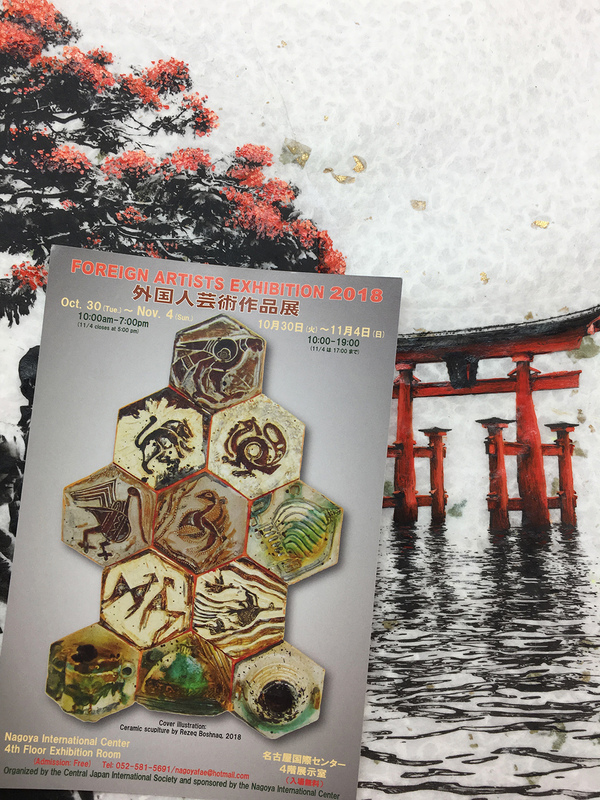 The 33rd Foreign Artists Exhibition will be held from Tuesday, October 30 November to Sunday, November 4. Painters, potters, photographers, sculptors, printers, and other fine artists will display their original artworks in the well-appointed 4th floor Exhibition Room at Nagoya International Center (NIC). The exhibition will be open to the public, free, from 10 am to 7 pm daily except the last day (Sun.) which will end at 5:00 pm.